If you are entertaining for the 4th of July or bringing a dish to pass and are looking for some healthy treats, you've come to the right place. We've picked some of our favorite fruits and turned them into fun red, white and blue displays. Your children will have a blast helping out in the kitchen, and they're fun to eat, too! 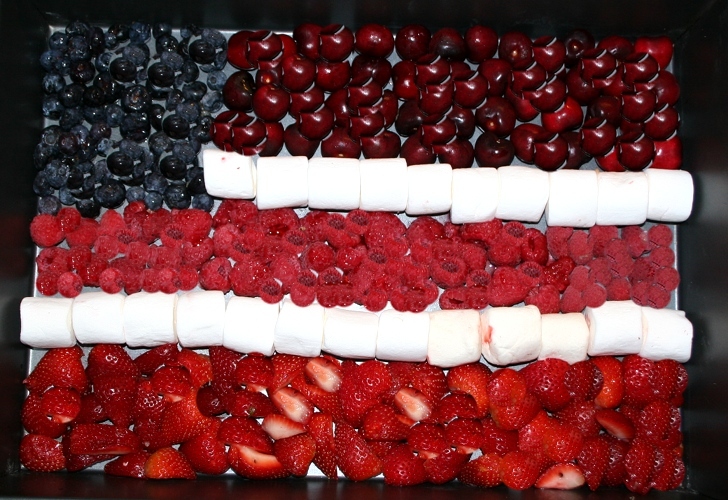 Keep reading to see how you can make your own festive 4th of July fruit displays. 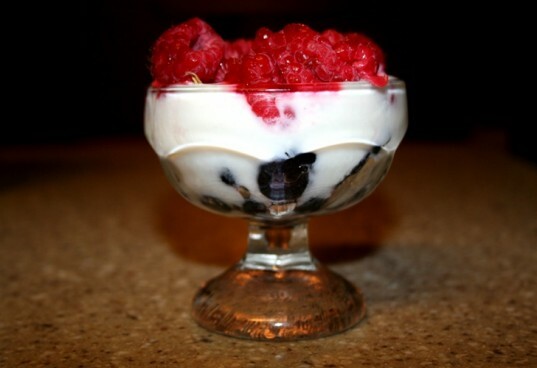 This is a great after dinner 4th of July treat that everyone will enjoy. On the bottom layer, add organic blueberries or blackberries. Then add organic vanilla yogurt or natural whip cream. Top with organic raspberries or strawberries. Serve chilled. 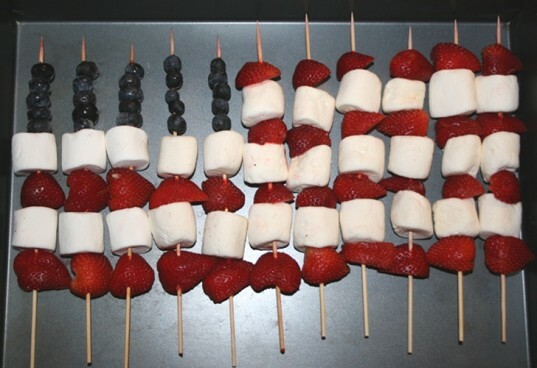 This fruit skewer flag display is made for 11 people, unless the kiddos come back for seconds. I used bamboo skewers, but would use with caution around younger children. My 5 year old loved helping design the flag pattern! You can either use organic marshmallows or banana’s for the white parts of the flag. These stuffed strawberries are great decoration and can even be served alone. All you have to do is hull the strawberries and fill with organic yogurt. I used Boon’s new Pluck fruit stem remover which made it super easy. If you are making for several people, I suggest using an icing bag with the yogurt to fill the strawberries. Then top with an organic blueberry. This is a great flag display if you are having a large party, especially since it uses so much fruit. You can also blend any leftovers and make ice pops or smoothies! I used cut up organic strawberries, then a layer of organic marshmallows, organic raspberries, another layer of marshmallows, organic cherries, and organic blueberries. 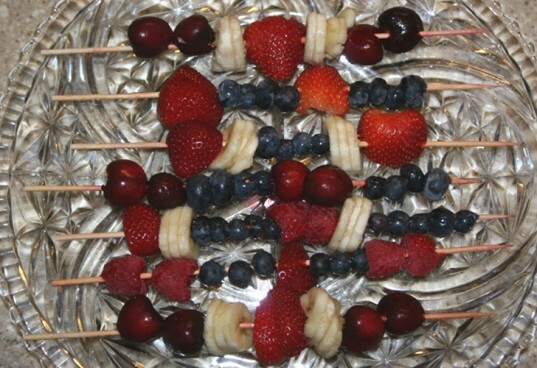 These fruit skewers are easy to make and your kiddos will enjoy helping. Since there is no pattern, you can make as many as you’d like. We used organic strawberries, organic bananas, organic blueberries, organic cherries, and organic raspberries. 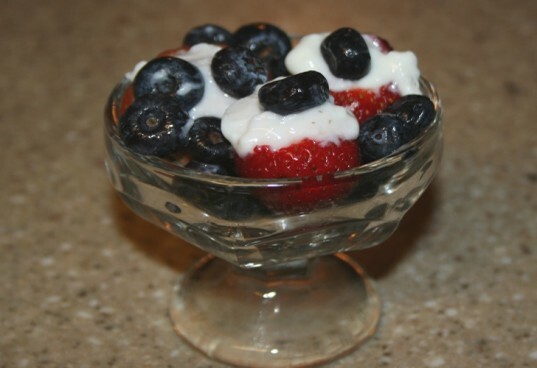 This is a great after dinner 4th of July treat that everyone will enjoy. On the bottom layer, add organic blueberries or blackberries. Then add organic vanilla yogurt or natural whip cream. Then top with organic raspberries or strawberries. Serve chilled. This fruit skewer flag display is made for 11 people, unless the kiddos come back for seconds. I used bamboo skewers, but would use with caution around younger children. My 5 year old loved helping design the flag pattern! You can either use organic marshmallows or banana's for the white parts of the flag. These stuffed strawberries are great decoration and can even be served alone. All you have to do is hull the strawberries and fill with organic yogurt. I used Boon's new Pluck fruit stem remover which made it super easy. If you are making for several people, I suggest using an icing bag with the yogurt to fill the strawberries. Then top with an organic blueberry. These fruit skewers are easy to make and your kiddos will enjoy helping. Since there is no pattern, you can make as many as you'd like. We used organic strawberries, organic bananas, organic blueberries, organic cherries, and organic raspberries.